Speculative fiction often uses real persons and events to build a story around. Real lives, used fictionally within the pages of my novel, SHADOWBOX, include these real people who happen to have had interests close to the foundation of the Cuckoo Club. See if you can spot the clues. Sir Roderick Impey Murchison, 1st Baronet KCB FRS (19 February 1792 – 22 October 1871), was an influential British geologist. 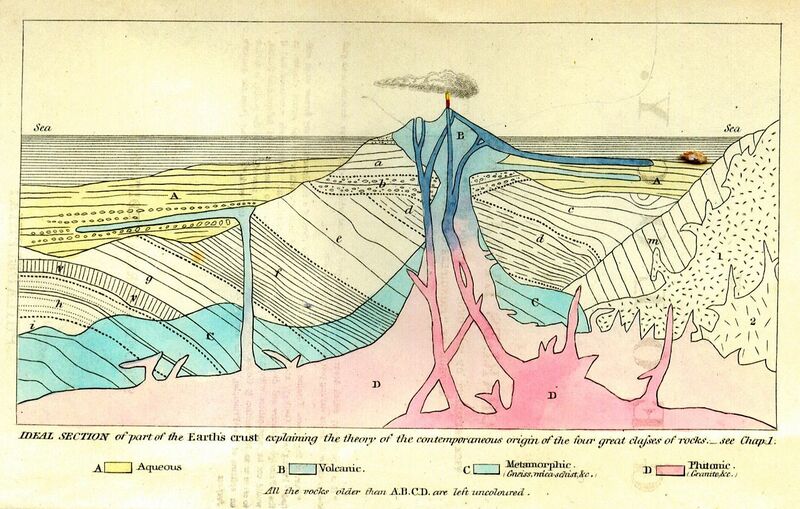 He wrote his first scientific paper in 1825 on the geology of south-east England. Turning his attention to Continental geology, he explored the volcanic region of Auvergne, parts of southern France, northern Italy, Tyrol and Switzerland with Charles Lyell. He later explored further east as far as Russia, and Scotland. [He founded] a chair of geology and mineralogy at the University of Edinburgh. The Murchison crater on the Moon and at least fifteen geographical locations on Earth are named after him. By the time of the events in SHADOWBOX, Murchison would have been forty years old. 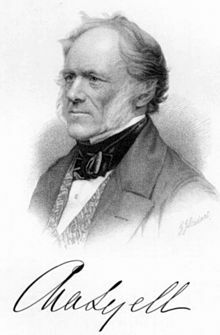 Sir Charles Lyell, 1st Baronet, Kt, FRS (14 November 1797 – 22 February 1875) was a lawyer and the foremost geologist of his day. Born in Scotland, the eldest of ten children in a prosperous family, the young Lyell spent much of his childhood at the family’s other home in the New Forest, where his interest in the natural world was sparked. He studied at Oxford and after graduation took up law as a profession. He traveled with Roderick Murchison to the Auvergne in southern France, and to Italy. In 1832, Lyell married, and the couple spent their honeymoon in Switzerland and Italy on a geological tour. This is the period where Lyell’s character makes a strong appearance in SHADOWBOX, as a travelling companion to Louis Beauregard in Paris, presenting a paper to a fictitious geological institute and planning his honeymoon’s rock-hunting. The character in the novel is a few years younger, however, than Lyell was in real life in 1832, and his professional status takes a back foot to the role he pursues as Louis’s friend and (somewhat irritated) mentor. In real life, Lyell’s interests ranged from volcanoes to prehistoric archaeology. He was also a strong influence on Charles Darwin. There’s a surprise d’Archiac in my short story, THE BROKER OF FAREWELLS, but Étienne Jules Adolphe Desmier de Saint-Simon, Vicomte d’Archiac (September 24, 1802 – December 24, 1868), was a French geologist and palaeontologist, a Parisian and a young man in 1832. He served as a cavalry officer until 1830, when he retired at the age of 28, and devoted his attention to geology. His earliest scientific works from 1835 describe the Tertiary and Cretaceous formations of France, Belgium and England, especially the distribution of fossils geographically and in sequence. In 1853 the Geological Society of London awarded him the Wollaston Medal. In 1857 he was elected a member of the French Academy of Sciences, and in 1861 he was appointed professor of paleontology in the Muséum National d’Histoire Naturelle in Paris. 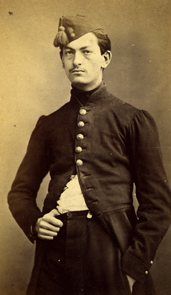 While suffering from severe depression he committed suicide by throwing himself into the River Seine on Christmas Eve , 1868. There’s no record of his having such an enchanting marriage as I provide for him in SHADOWBOX, nor of any adventures with Louis Beauregard. Smirke was born in London on 1 October 1780, the second son of the portrait painter Robert Smirke; he was one of twelve children. In 1801, accompanied by his elder brother Richard he embarked on a Grand Tour which would last until 1805. [On his return to London] in 1805 Smirke became a member of the Society of Antiquaries of London. Smirke was a pioneer of using both concrete and cast iron… He used large cast iron beams to support the floors of the upper galleries at the British Museum. He was knighted in 1832, and lived at 81 Charlotte Street, London. During the events of the novel, Smirke is a visitor at Murchison’s house in the West End of London. I have no idea whether the pair ever actually met. This is the real-life person with whom I took most liberties within SHADOWBOX. Gottfried Wolfram was a Danish amber craftsman. His name appears in connection with the Amber Room of Peter the Great, as one of the designers and one of the three craftsmen who built the original chamber for the Prussian king Friedrich I. General online searches only throw up titbits. While Gottfried Wolfram doesn’t appear in person, his fictional grandson is one of the main characters. I have no idea whether the real-life amber carver had any family, what they were called, or whether any of them arrived in London prior to 1832. Next post in the SHADOWBOX series: First Light On Paris.